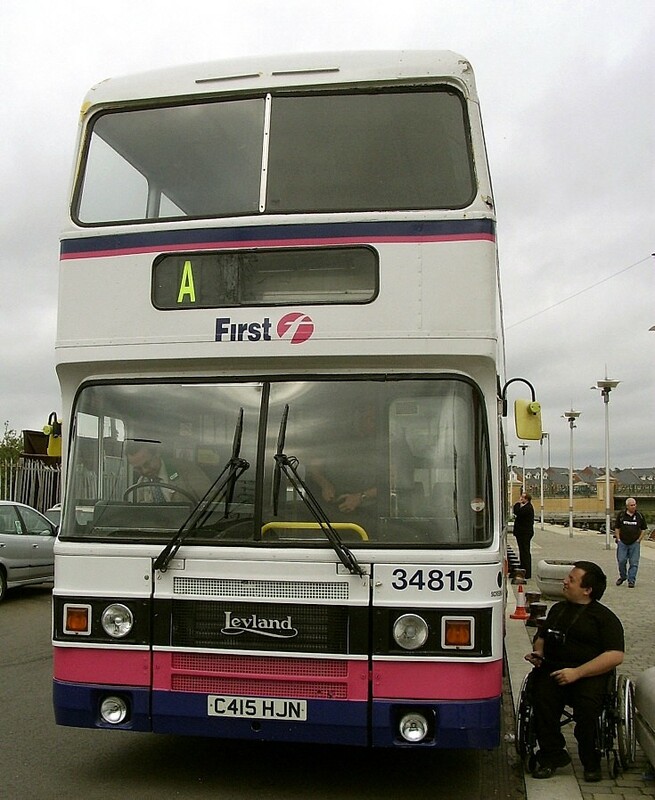 Front view of the First 34815 double deck bus C415HJN. This Leyland Olympian with ECW body work was built 2/1986 for Eastern National, fleet number 4015. Editor: I am pure guessing here but.... is it likely this was acquired by CEPB to return to its Eastern National looks? It is being preserved in First livery. Owner is hoping to acquire one of her sisters to return to ENOC livery. Added by Sarah Hartwell/messybeast on 23 May 2011.